It’s time to give you guys out there a little (very little) update. As some of you may know, we’ve had a recent addition to our team a few weeks ago now, and his name his Otis Forrest. He’s still pretty small, so can’t do any editing jobs yet, so bear with us over the next while if our blog is a bit slow. He’s provided us with great joy already and we’re looking forward to all the future time with him. Sunday, August 22nd, 2010 at 3:28 pm. Filed under Events, Great designs, Other stuff. Follow comments (RSS 2.0), comment, or trackback. Congratulations!!! What a cutie, and also a awesome wee “cocoon”! Wishing you guys all the best and every happiness! 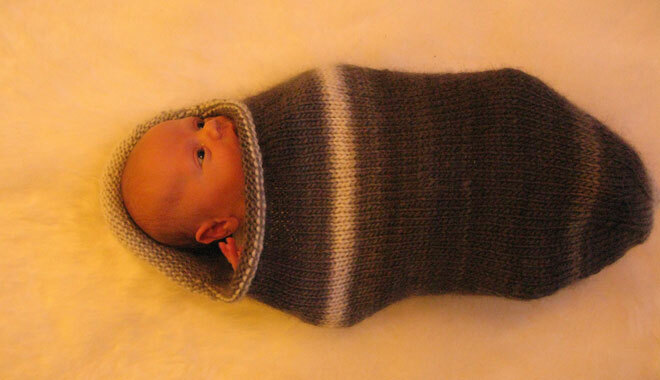 Yeah, it’s an awesome cocoon, made by our friend and former Lone Moose creator Bonnie. Aw, it’s great to have clever friends! Unfortunately he’s getting kinda big for it already. Congratulations! I was wondering when we were going to get a photo. Tis a terrible thing this interweb – it makes me so demanding. All the best. Wow! So super cute in his wee cocoon. Congratulations guys! Wishing you all the best from Burrowes and myself.